New York City ends marijuana arrests: Summons to be issued instead of criminal charge, per plans. A marijuana-law-reform protest in New York City in July. People found with small amounts of marijuana would be issued court summonses and be allowed to continue on their way without being handcuffed and taken to station houses for fingerprinting. 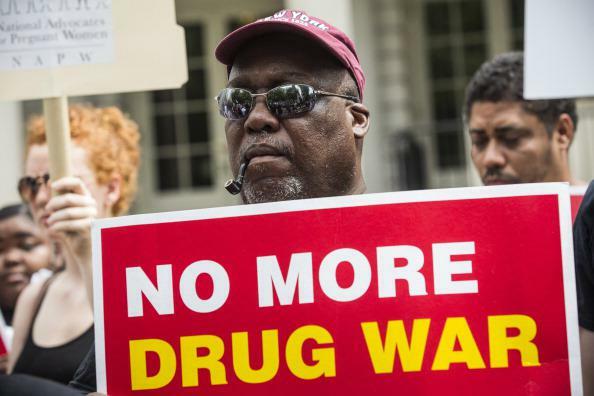 The change would remake the way the police in New York City handle the most common drug offenses and would represent Mayor Bill de Blasio’s most significant effort since taking office to address the enduring effects of the department’s excessive stop-and-frisk practices. Key questions about the policy remain unanswered, the Times reports, including whether public use of marijuana will be treated the same as possession and whether marijuana tickets will be recorded on citizens’ criminal records.